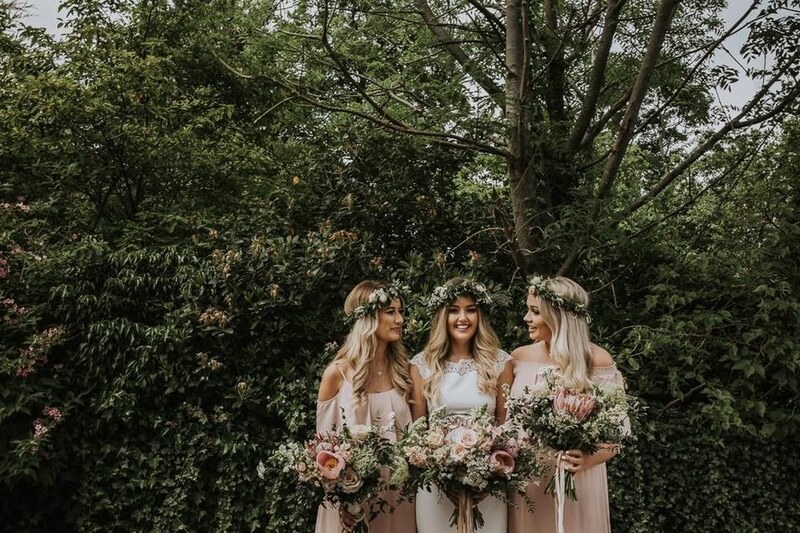 The Pantone colour of the year can often impact our bride’s colour choices, and I’m hoping that this year is no exception as the 2019 Pantone colour of the year is ‘Living Coral’. A coral colour palette is always an absolute dream to work with! I have a feeling that you haven’t seen the last of Gypsophila. We really enjoyed getting to use it last year and experimenting with ways to revamp this classic bridal flower. 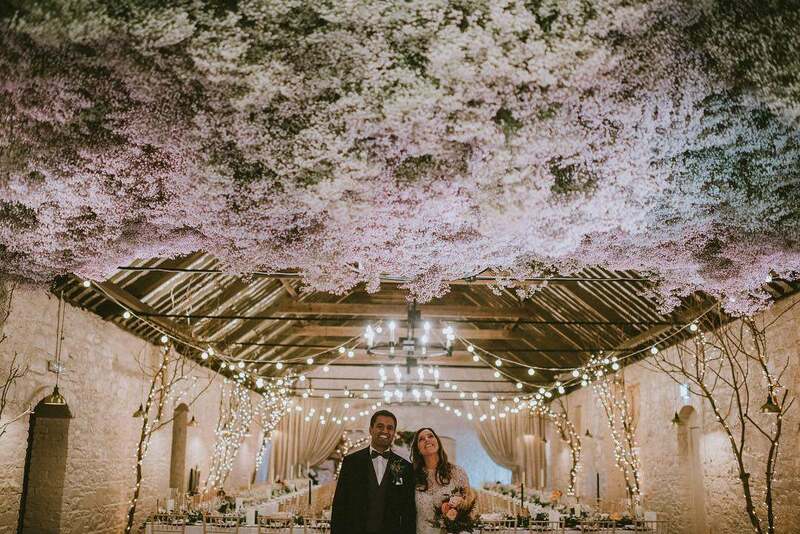 The flower cloud we created for Julie and Sukie at Larchfield worked so perfectly in the barn, with the beams suspending the cloud above the entirety of the dancefloor! 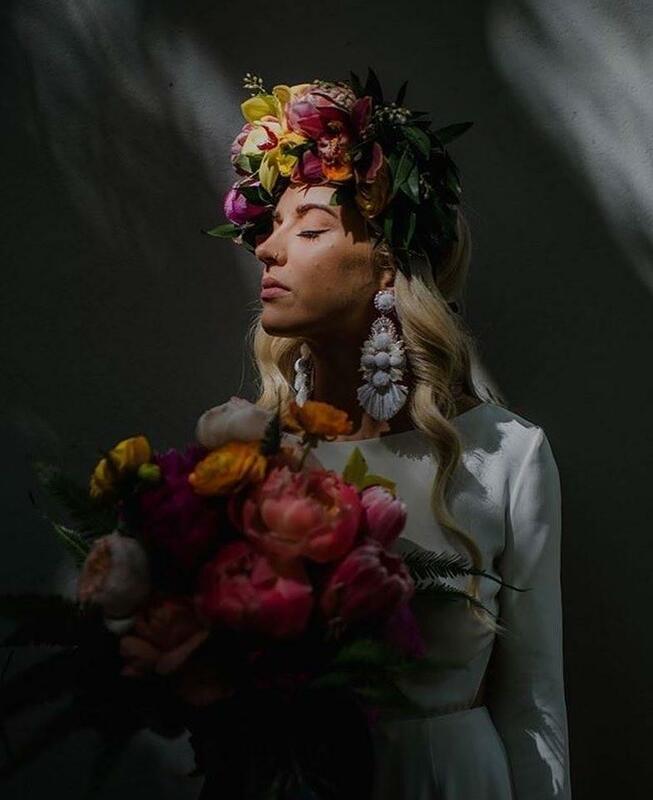 2019 will bring with it lots of new feature arrangements and installations – we love creating something different, and already we can see that this year will see lots more thanks to our fearless brides and their wild imaginations! Larchfield Estate are really flexible, and this provides the opportunity for us to experiment and try out new ideas. We love imaginative couples who challenge us week on week and motivate us to try out innovative and exciting ideas! 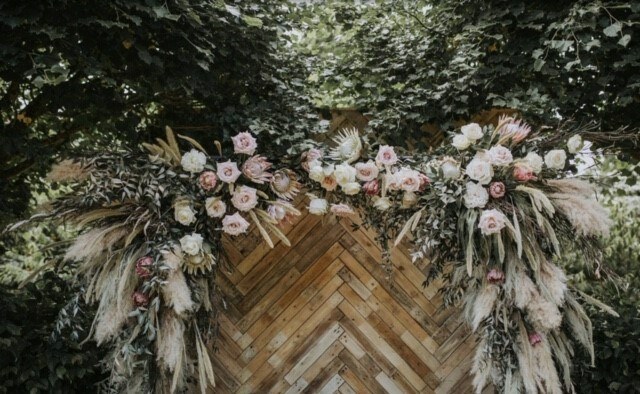 Gypsophila isn’t the only traditional flower which we are seeing come back into fashion. Two other examples which I think will see popularity in 2019 are Orchids and Carnations. We used them occasionally last year, and plan to use them much more this coming year! I also don’t think that the traditional white/green bouquet will ever go out of fashion. 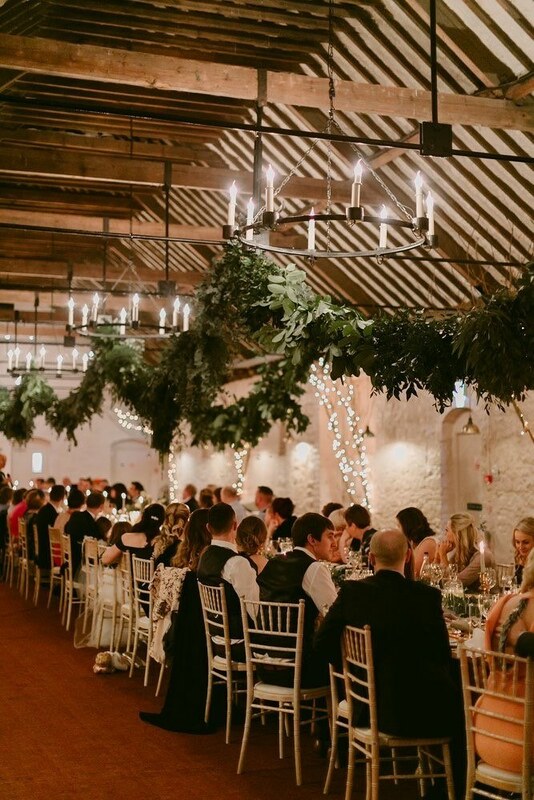 Fresh foliage garlands will remain popular, and lots of greenery and candlelight work beautifully in the main barn at Larchfield – complimenting the vibe of the venue from the stables and courtyard to the stunning gardens surrounding them. I also think that a lot more dried flowers will feature throughout 2019 along with spray painted flowers and foliage – they can really make an arrangement, and I am looking forward to experimenting with this more this year.